Becky’s parents do a thing that we love: once a month they come over and spend an evening with the kids, so we can go out on a date. 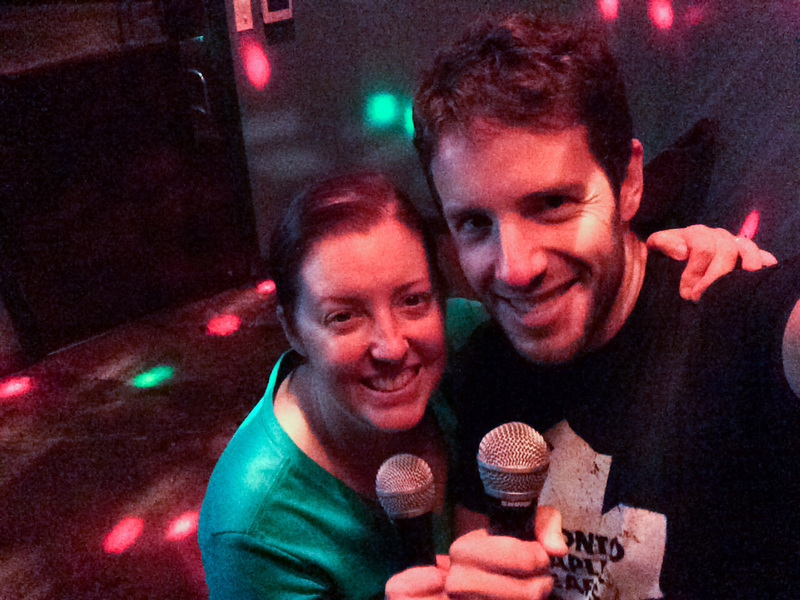 There was this one time when we booked a private karaoke room at Voicebox, for just the two of us. Yup: our date was crooning together for two hours straight. 28 songs, from Lisa Loeb to Tenacious D to Meat Loaf to Vanilla Ice, and everything in between. I was a little apprehensive. I thought it would be uncomfortable. But no, it was awesome. Oh, and Voicebox has a happy hour. Two hours of rocking and two sake cocktails: $35.